“Within four bars, I recognize that a formidable, seasoned artist is at work…”—Gramophone. lecturer and adjudicator that has taken him to major music institutions across the North America, Europe, China, South Korea and Australia. A University of Florida Research Foundation Professor, Orr’s live performances and CD recordings have earned critical acclaim across the globe. In particular, his recordings of the complete Johannes Brahms Solo Piano Sonatas and Ballades have been universally praised in the major music publications of North America and Europe. A strong advocate of the music of living composers, Orr has premiered and recorded solo and ensemble works by composers Jennifer Margaret Barker, Paul Basler, Houston Dunleavy, Paul Richards, Robert Rollin, and John Weinsweig, Orr’s performances of both new and standard classical repertoire have been heard on Public Radio throughout the United States. Committed to the broad growth and enrichment of music education, Orr is Founding Director of The Chinese-American International Piano Institute, Chengdu, China, and the University of Florida International Piano Festival (www.arts.ufl.edu/pianofestival), assembling gifted young pianists with distinguished pedagogues from around the world. Additionally, Dr. Orr has taught at the Val Tidone International Festival Summer Camp, Piacenza, Italy and is a regular faculty member of the Masterclasses Ars Haliaeti, held in Koper, Slovenia each summer. 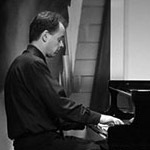 While focusing primarily upon the performance and teaching of classical music, Orr also pursues interests in other musical styles, including improvisation, in which his course, “Improvisational Keyboard Skills and Related Technology,” exposes students to practical keyboard skills outside the classical realm. A Steinway Artist, Kevin Robert Orr records for Meyer Media, LLC. His CDs are available via the internet at www.kevinrobertorr.com, and at iTunes, Amazon and Rhapsody.